Offering real estate career insights as faculty were (standing) Jeremy Garner, Cody Armbrister and Lee Zieben. 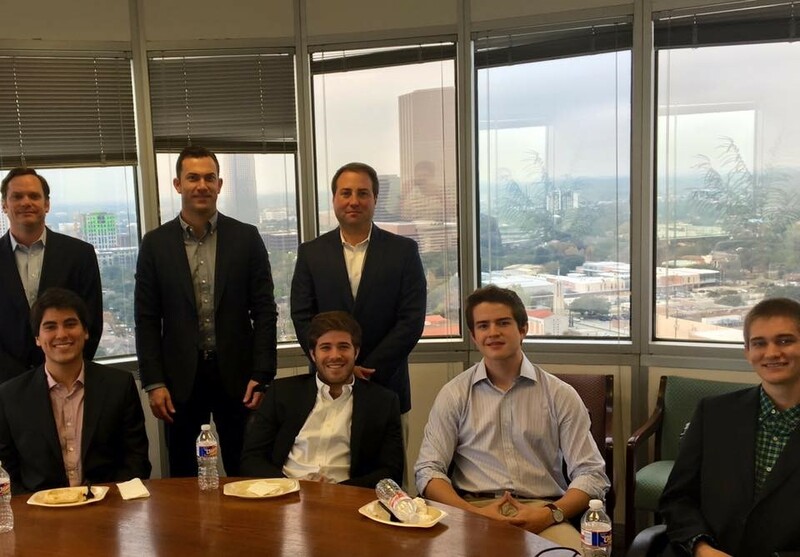 Pike undergrads (left - right) Eric Cruz, Kris Kubin, Mitchell Benson and Hunter Hendrix enjoyed the lunch and learn session. Pike Alumni graciously host several Career Advisory Sessions annually for Pike undergrads. CBRE’s Cody Armbrister ’97, Trammell Crow’s Jeremy Garner ’94 and Lee Zieben ’95 of The Zieben Group kicked off the first 2016 session on the topic of careers on the real estate industry in Houston on January 8. Six Pike undergrads gave up part of their holiday break to take part in the session.